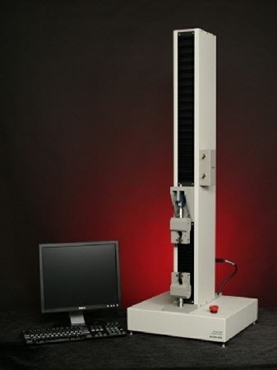 Designed for testing a range of film and sheet materials, the MT-2533 has 33.5 inches of crosshead travel, and 26.5 inches of test travel. The single-column load frame is rated to 550 lb, driven by a high performance permanent-magnet servo motor and precision ball-screw. Computer controlled, driven by our Model MT-2500 Quality Control Software, meeting ASTM testing requirements for laboratory or plant floor environments.